Let us know your resource need with the technology, required number of resources, experience level and what you are expecting from our Developers. Once we both are sure about your resource need, we shall provide you the access to view the complete profile of our Developers. You may go through our Developers’ profiles showcasing their qualifications, experience, certifications and domain knowledge. Will you schedule an interview with the Developer? Yes, once you have gone through the complete profile and shortlisted the Developers, we shall arrange for you to take an interview of the Developers, which will be through a video call or Skype. I would like to try the Developer, before signing the contract? Yes, we also offer one week free trial. You may assign a task or development of a simple module. If the Developer successfully completes the task and if you are satisfied, you may then sign the contract with us to hire the Developer. Simply eliminate the issues you encounter with maintaining expensive in-house teams. Even if you are willing to keep up with the rising cost of permanent and in-house team, you will need to face issues like workflow fluctuations and staff attrition. You will be assured of quality because your remote Developer is a dedicated full-time resource, who is working exclusively for you. How can Picco Talent’s Developers prove better for you? You will have a virtual in-house Developer or a team, on who you will have a direct control, while Picco Talent takes care of all the internal maintenance of staffs on your behalf. Will Picco Talent’s remote Developers follow our work culture? You just will not have peace of mind that your remote dedicated Developers are working only for you, but they will also follow the process standards defined by you. Modern technology has given us plenty of options to communicate effectively. Have direct access to your remote team by phone, Skype or email during any time of the business hours and keep track of a daily detailed timesheet. You may have a call with our Developers on a daily basis to track status and enquire about work progress. 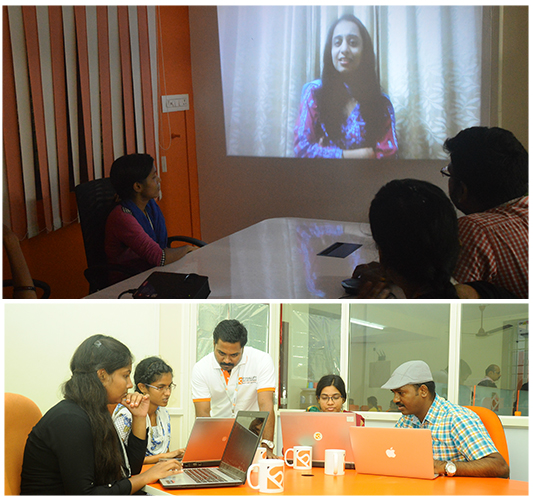 Our Developers can also blend in with your internal team and have regular meetings with them. Will there be any single point of contact for taking requirements and guiding the Developers on the same? Yes, we provide a single point of contact and you may send an email or call and provide requirements. The same will be effectively communicated with the Developers and it will be seen that the requirements have been implemented and delivered successfully. One-on-one Interviews: We recommend you to have one on one discussion with our Developer, where you will allow our Developer to ask you open ended questions about your requirement. As much time you spend on a discussion with our Developer, the hopes for the project success gets better. Group Discussions: If you have an in-house technical team, and you are hiring our Developer to fulfill the skill shortage, then, you should have the entire team have a discussion with our Developer. This will help our Developer to blend in with your team correctly as well as get more clarity on your requirement. Use cases: Our Developers can understand your requirement even better when you show them any reference sites or existing Apps that are similar to your requirement. Are Picco Talent’s Developers self-driven starters? Yes, Picco Talent’s Developers have been trained to work in real time projects that demands minimum supervision. 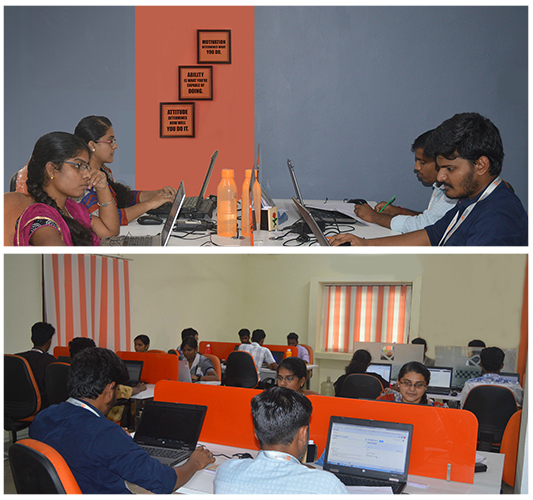 However, they also do get all the necessary guidance and assistance from the Senior Developers of Picco Talent. Why Picco Talent recommends more discussions with our Developer? It is very important if the Customer wants to avoid paying for what was not being wanted by him. It is also important for the Developer to put in unnecessary efforts on what was not required by the Customer. And, stronger the understanding of the project needs by the Developer, the smoother the project can be executed by the Developer.